The island of Gozo has two opera houses in Victoria ( Ir-Rabat ): the Astra Theatre, and the Aurora Opera House. Each puts on at least one fully staged opera a year, often with international soloists. 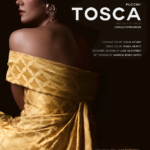 Aurora Theatre presents Giacomo Puccini’s timeless classic, Tosca, on October 13th ( Online booking on www.teatruaurora.com). 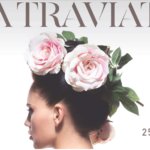 Astra Theatre presents the love knocks unbidden La Traviata, on October 25th and 27th ( Online booking on www.teatruastra.org.mt). The existence of Gozo’s buzzing opera scene may come as a surprise to many, but with some of the world’s biggest stars performing here on a yearly basis, the island has become an international hub for the art. These productions are highly sought by opera enthusiasts. These unique events present a fantastic opportunity to discovering the autumn season of the Maltese Archipelago. Should you be interested in a lyrical city break, The Snop House team will be glad to host you at our accommodation suites in the Three Cities and to organize all transfer from Senglea to Victoria.